Thank you all for the compliments regarding the photos. The credit has to go to the hubby and Lil L for patiently standing around in the cold with strong wind whipping their coats about and trying to amuse themselves while I scoured each location for the "best light". I'm sorry I haven't had the chance to reply to some of your questions individually. I was numb with shock when a friend told me yesterday that the new school term will begin next Wednesday, not Monday as I'd assumed it to be. We moms love our kids without a doubt but that doesn't mean we haven't entertained the thought of locking our precious little darlings in a room and throwing the key away. 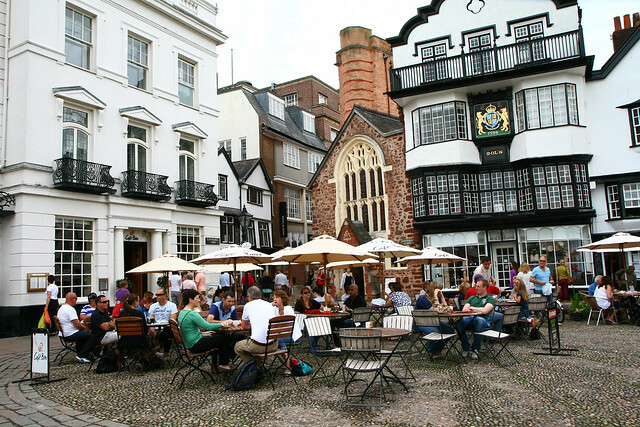 On our way to Cornwall, we passed Devon and decided to make a quick stop at its capital, Exeter for a look around. Like most English cities, there's a massive Cathedral smacked right in the middle of the town center. As it was explained to me by an English friend of mine, a town, no matter its size or population can qualify as a city if there's a Cathedral. I hate to say this but it looks like many other ancient cities here in England but charming and elegant nonetheless. We had the most ghastly breakfast by the quay. To add insult to injury, we'd also paid a small fortune for the privilege of having soggy mushrooms, overcooked poached eggs, the most disgusting grilled tomatoes. 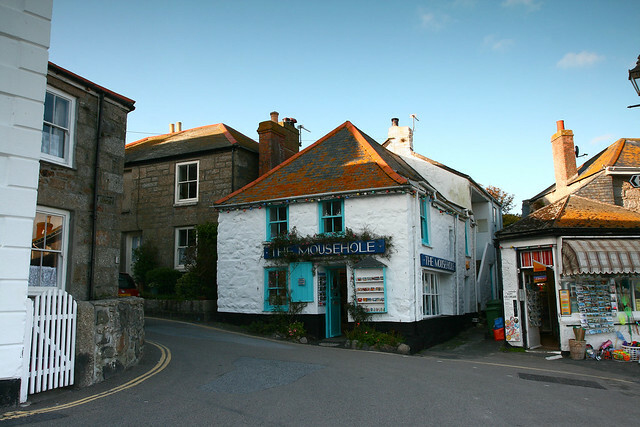 Mousehole, despite its interesting name, is pronounced as Mow-zel. 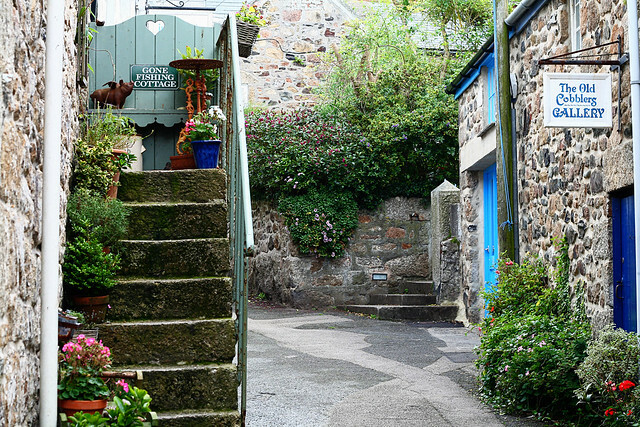 The tiny fishing village is remarkably beautiful with stone houses and colorful shutters. 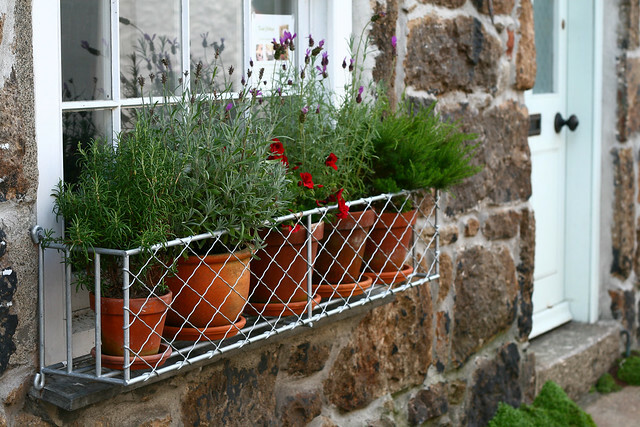 It actually reminds me of some of the villages in France. We took a chance and drove through itty bitty lanes to find a park. It's a popular destination for tourists and traffic can become rather bottle neck around the harbor. I'd highly recommend not driving a van or SUV if you want to navigate around the country roads of Cornwall. We dropped in at a local restaurant that had plenty of stickers pasted on the glass door to advertise the fact that they were recommended by Michelin Guide. It must be the chef's off day but the food paled in comparison to Rhubarb at St Ives. Mount St Michael can be easily compared to Mont St Michel of France. We didn't manage to make it there but I've been told that it's a marvelous place to visit. 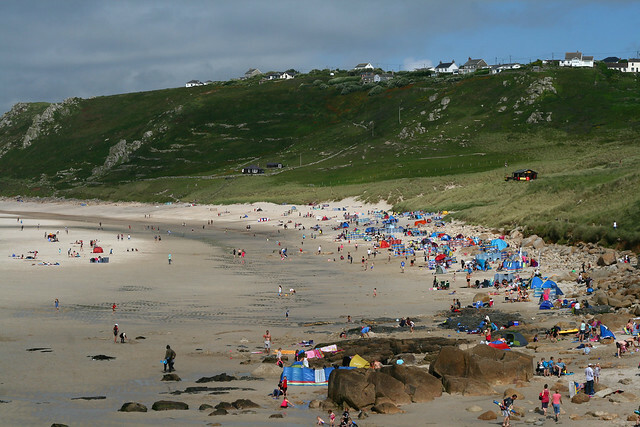 Sennen Cove is a short drive from St Ives and a popular spot for those who enjoy surfing. The long stretch of sandy beach is ideal for the kids but watch out during the summer months, particularly if you're planning to head out early because every man and his dog along with his wife and kids will be there too. 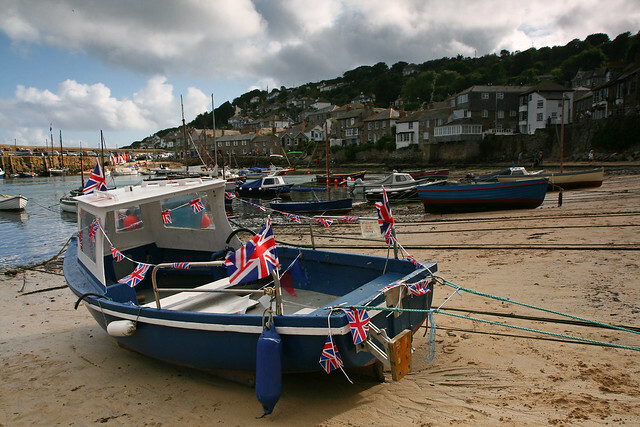 As a parting note, here are two photos of St Ives again. I'd overheard a couple of ladies boasting that they managed to catch 15 crabs with a small cage and rope. 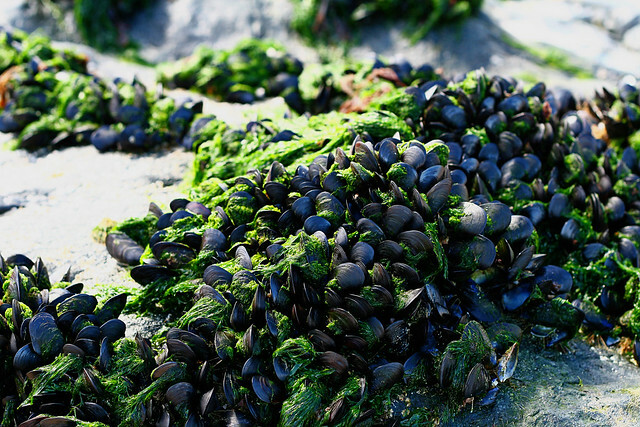 There were mussels abound during low tide too. Ideally, I'd love to have a rented a small flat or apartment. It's wonderful to eat out but after 2 days of restaurant hopping, we missed a home cooked meal. Thank you for reading! Oh boy, it is so beautiful down there, i would love to move south but am stuck for the next few years. I didn't know there was also a Mount St Michael in England ! Looks interesting and very similar at first sight. Thanks again for all these lovely pictures ! You take such amazing pictures! these photos are gorgeous..again..they look like they should be in a postcard book. xO! 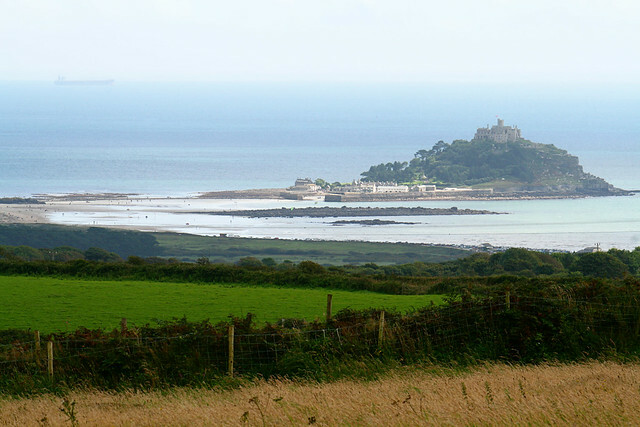 I could just see myself in that Gone Fishing Cottage and having a pint or two at the Mousehole. St Ives is heaven and you've captured it on a stirling day I have to say. Have you seen that series Dr soemthingarather? (sorry that's a line straight from my mother) I was addicted to that - was that filmed in St Ives? 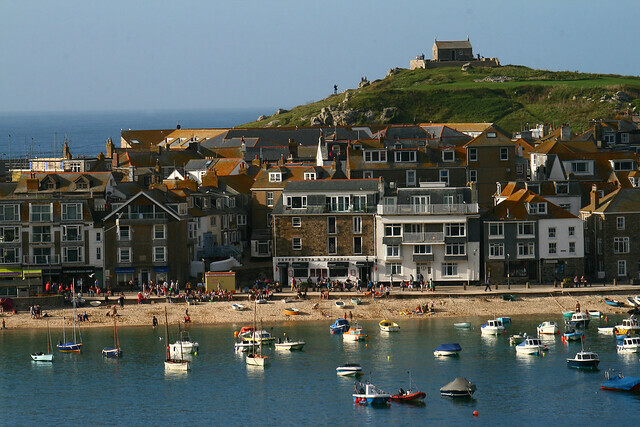 Hmm...I was told that there were tons of series filmed around St Ives. Apparently, the locals are so used to parts of the town or the outskirts being closed for filming that they no longer bat an eyelid. Strange one this but my favourite picture is of the mussels. Don't know why but I like it. And I hate paying extortionate prices for something not that good either - one of my restaurant bugbears! The English coast is so quaint. I wish it was as hot and sunny over there as it is in Australia, I would definitely love to live there for a while. 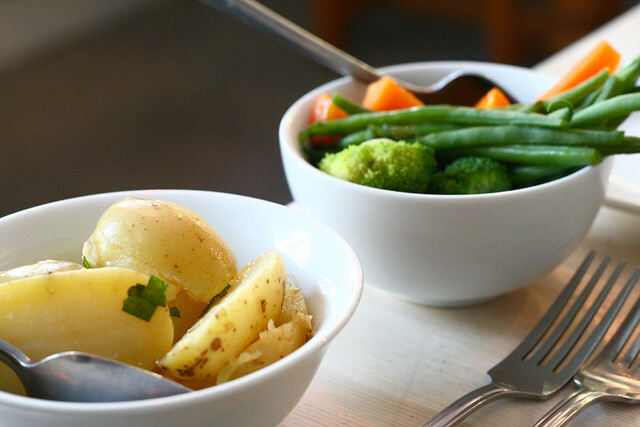 The food looks so fresh and yummy! your pictures are always so gorgeous!! I can't get over how beautiful the images are in this blog:) Have a good weekend! Such magical pictures! Glad you had a wonderful time. Oh sorry you had such rubbish food! Can't say I'm surprised though. 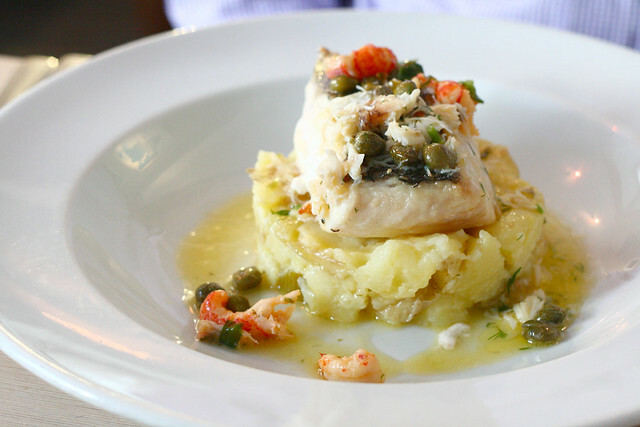 Have you been to Padstow? 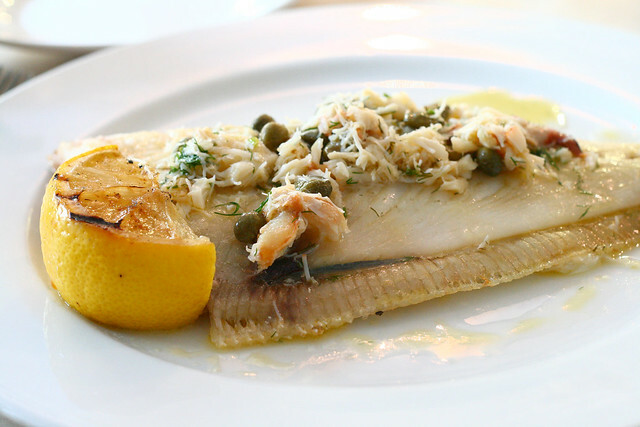 If not go there and have fish and chips at Rick Stein's takeaway. It is unbelievably good.